Hot Press from the TechNet Wiki Ninja! In recognition of SE Asia MVPs ongoing contribution towards TechNet Wiki, Vietnam SharePoint Server MVP Thuan Nguyen was interviewed by Ed Price, where he shared his thoughts on TechNet Wiki and personal favorites! 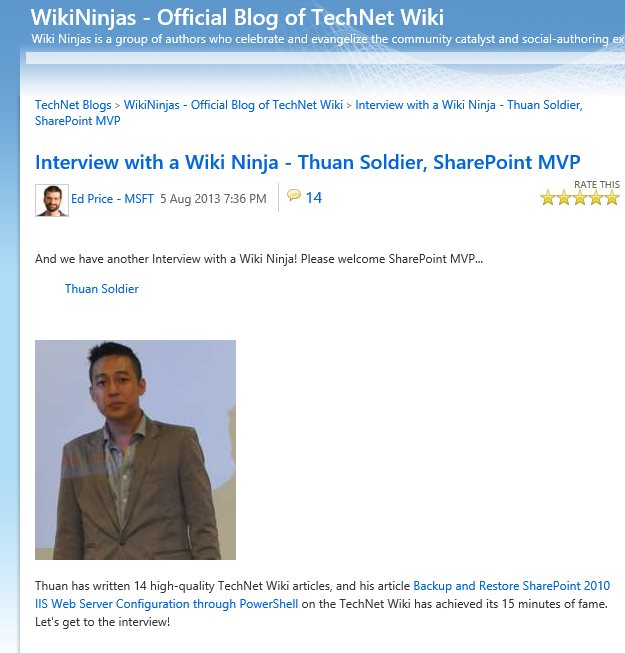 MVP Thuan Nguyen has written 14 valuable technical articles and one of his article Backup and Restore SharePoint 2010 IIS Web Server Configuration through PowerShell achieved 15 minutes of fame. Catch the Wiki Ninja interview here! What’s more, Thuan was also recently on-board Microsoft TechNet Wiki Advisory Board to help improve TechNet Wiki and drive the adoption of this project. Thank you Thuan for your valuable contributions! Wiki Ninjas is a group of authors who celebrate and evangelize the community catalyst and social-authoring excellence that is known as TechNet. 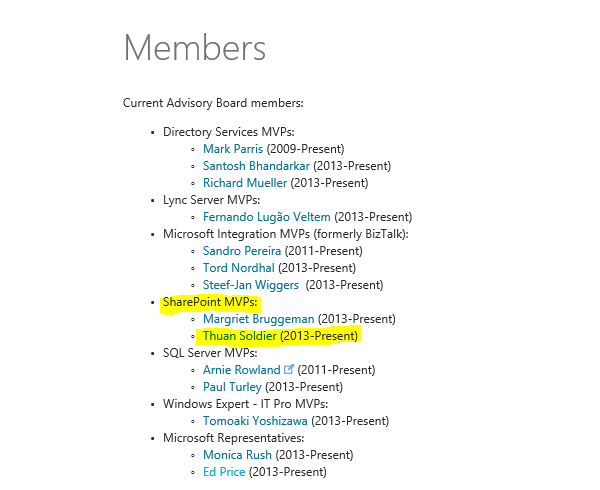 TechNet Wiki Advisory Board is a group of MVPs from the community interested in driving adoption of the TechNet Wiki.